Here are my pictures. I’m very happy with the vehicle. The car works very good, and I have so far experienced no problems with it. I will definitely buy from you again next time. Thank you very much for going to the trouble of sending us the pictures! We are very happy that the car is working fine, and you’re happy with it. Please let me know when you need a vehicle from us again! I will offer you a very good discount for your kindness! I am happy to inform you that I received the car good condition and is as advertised on the cardealpage.com. I really appreciate CardealPage team for the good services and timely updating during my procurement procedures. I am glad to see that you are enjoying driving your car. I am confident it will serve you for a long time. Please keep in touch and let us know if you need any other unit. Most impressed with communication. He kept us quite connected. Was honest when he made a mistake in first quotation. The car was in good condition. highly recommended.We give them "Thumbs up". Thank you so much for keeping your promise to send us your pictures! You look great in that t-shirt and the van! 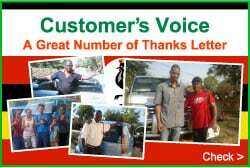 I have no doubt it will continue to serve you for a long time without any problems, just like many of our vehicles. Let me know if you need any more advise/help on your vehicle, or any other vehicles from our stock. I confirm receipt of the subject vehicle in good and excellent condition. This was a very well coordinated purchase, communiccation was excellent and the car arrived intact and in time. Well done ladies and gents.. Hope to purchase another car from you once i have the money. Thank you very much for your kind updates about your car. We hope to be good partners with you in the future. Please send us photo with your good looking car. Let us know if you or your friends need any other good Japanese used car in the future. I have received the vehicle and I am already driving it. Its in very good condition. The whole family loves it. Thank you very much. Thank you! You’re looking great in your new car, and is that your house I see in the background? Great house, great car, and great family. Lucky man! I just want to say that I was completely impressed with the level of service I received from the online customer service representatives especially Mr. Jones Yunus and Logistics team. They were all very quick in answering my emails and questions. There were absolutely no delays at all, and at all levels of the transaction, they kept me posted. They were very humble, friendly and treated me very well!!! Also, the fact that it was able to be shipped within the shortest time, made me very happy. My fears never came to pass, since i found this company to be trustworthy, very reliable, efficient, and very responsive. Thank you for all the service and the best product that I received and being able to rely on your company for something as important as my dream drive. I will absolutely make future purchases on cardealpage.com, and i am recommending all people out there to consider purchasing their dream cars from cardealpage.com to enjoy the incomparable and excellent customer service they offer to their customers. Oh, Mr. Yunus, thank you so much for the gifts that i received. The T-shirt, the pens and the key holder. What more else can i ask for really? Thank you very much for your detailed photos. I can see and understand that you are very happy with your car. I am sure that your happiness will last for a long time. Because your vehicle will not loose it`s excellent shape and serve you very well. Hope to do more and more business with you, your friend and family members. Please have a look at your car. Its in the Jungles of Africa!!!!!! We appreciate you photos and are delighted to see you and your Land Cruiser Prado in the jungle! Your Prado should carry you through even those jungles. Have a great ride with your family. We hope you will cherish your car. 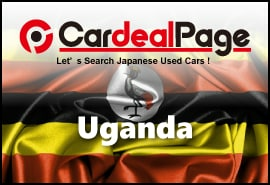 If you ever have an opportunity to CardealPage, we are glad to provide our service to you again. I am really happy and satisfied with the condition of the truck and promise to promote you further among my friends and relatives and any one who wishes to buy any vehicle on from Japan. I will be very glad to send you the photo but as i told you, the driver who brought it from Mombasa put there a big dent which i feel need to be done first before i can take the photo. I will send it to you as soon as the car is ready and my comments plus compliments. We are so glad to hear from you. It is delightful to receive your feedback, but we are sorry to hear your truck got a dent. We hope it was dent with well. The same service we provided to you is promised to your friends. Our team will look forward to receiving photos of your Canter and you. I would like to thank your team for the excellent service. Communication was excellent and I have received my truck in time and in good working condition. Thank you for choosing our service this time. We are glad that your new truck is working for you well. Constant communication with our customers is one of the important things to us. Until we make sure our customer receive their cars, it is our responsibility. So it is great to know the Elf is now with you. The communication to our customer is very important to us. We hope you will enjoy driving the Pajero IO. Our loyalty will be the same next time to you. 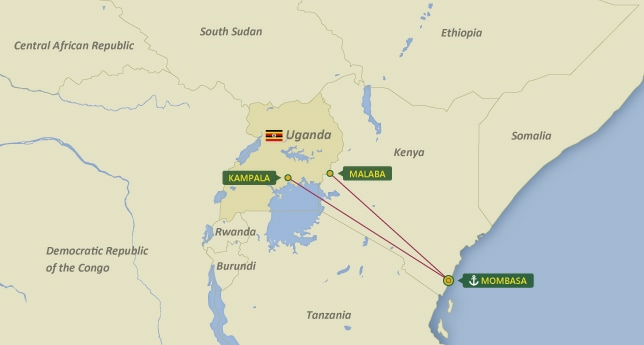 Delivery to KAMPALA is included Customs Clearance Fee. Delivery to MALABA is not included Customs Clearance Fee.